SpartanModel is an "Electronic Model Kit". Making use of computer technology, SpartanModel replaces the "plastic models" used by past generations of organic chemistry students, and extends the utility of molecular models in chemistry education. Spartan Student Edition is a serious molecular modeling package for teaching, and learning, chemistry. 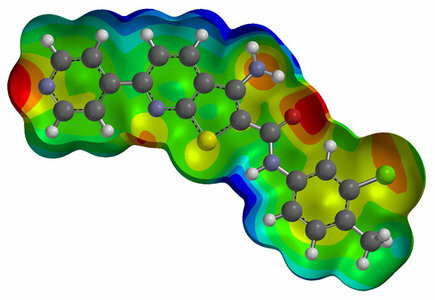 Combining Spartan's easy-to-use graphical interface with a targeted set of computational engines, the Student Edition provides fundamental molecular modeling utilities supporting the Organic Chemistry curriculum. Spartan Essential Edition includes a full range of molecular mechanics and quantum chemical methods, up through and including Hartree-Fock Ab Initio methods, behind the cutting-edge Spartan GUI, putting powerful calculations at your fingertips. This version of Spartan is most commonly used in academic computer labs. Spartan'14 is the most sophisticated version offered. The latest Spartan'14 release offers offers all features and methods included in the Spartan Essential Edition, and in collaboration with Q-Chem, provides a full range of post-Hartree-Fock methods including Density Functional, Moller Plesset, Theremochemistry recipes (including the new T1 procedure), and an assortment of Advanced Correlated approaches. Spartan'14 is the dominant version used in academic, government, and commercial research.